If you’re lucky, you’ll have people in your lives who will always make you feel like family. In our experience, this isn’t a sense that comes gradually, but all at once; that’s just who those people are and they can’t help but have their warmth and hospitality shine through in everything they do. Shannon and Chris were those people when we first met them, before we even did their Palace of Fine Arts and Baker Beach Engagement Session and their wedding the year after. Chatting with them at the historic 7Mile House in Daly City, there was an unmistakable sense of comfort and gratitude that we sensed immediately. Being with them for their wedding in New Jersey, meeting all their friends and family, we came to understand that this was no fluke; they both grew up with incredible people who loved them separately, and evidently, even more after they found eachother. We were the beneficiaries of the good vibes of two families who were looking forward to be forged into one through Shannon and Chris. We met their friends who no doubt fell in love with them for the same qualities we picked up in both of them, and most importantly, we met their mothers who, even in our short time there, made us feel like one of their own. It became that clear that this special capacity to us feel like family was because they came from fantastic ones. Following that, we were incredibly happy to hear that they were expecting a little one and even more honored to be included in this new chapter of their lives. On top of that, Shannon and Chris were always clients who “got” what we were going for, and were always excited to work with us. 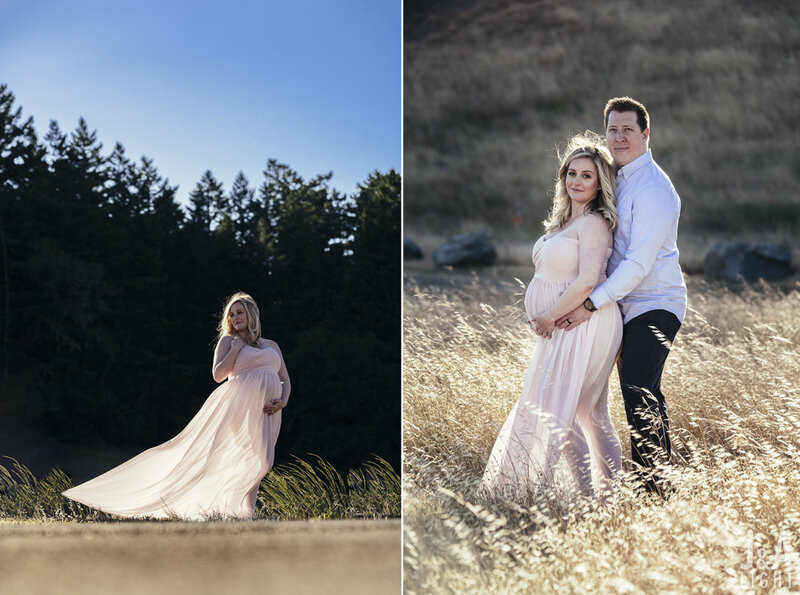 For their maternity session, we decided to head out to Mount Tamalpais in Marin County just north of San Francisco. 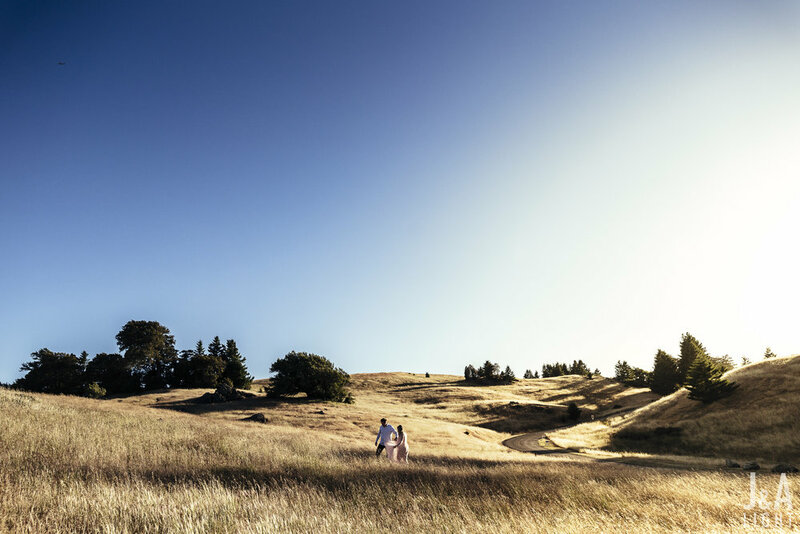 We had never shot in Mount Tamalpais, and especially with Shannon and Chris, we’re not sure why we waited so long. 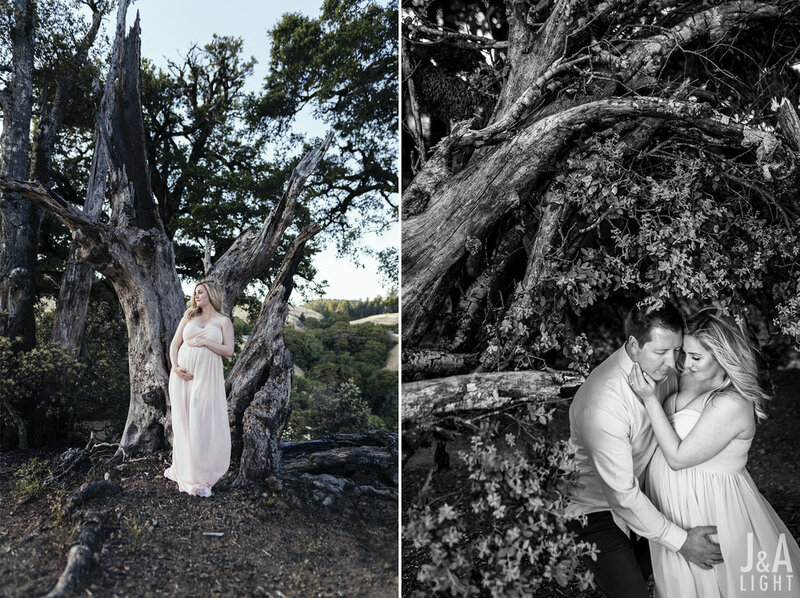 The vistas afforded by being on the mount, and the completely enchanting wooded areas nearby were a perfect backdrop for Shannon and Chris and the mood of this time of their lives. 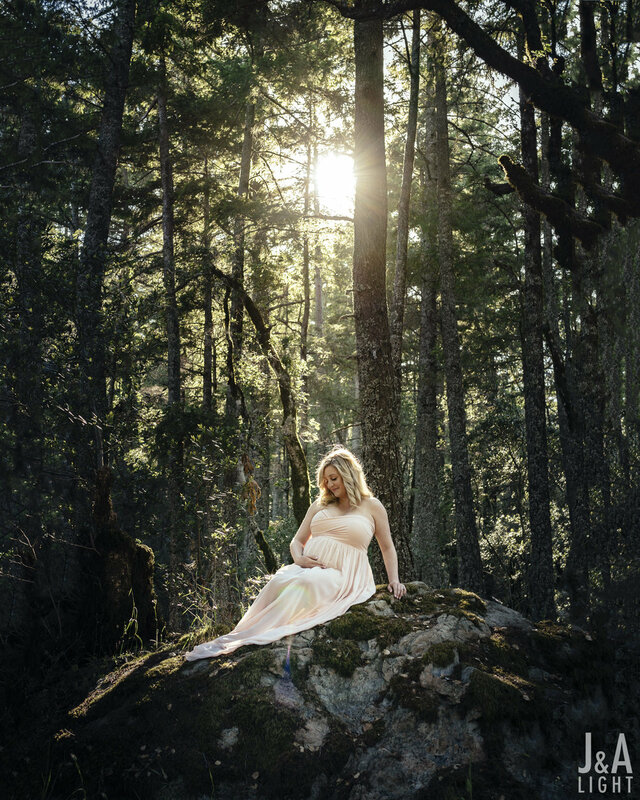 We were lucky to shoot on a beautiful day with plenty of sunlight filtering magically through the treetops of the forests there, giving us plenty of drama without too much fuss. We particularly appreciated Shannon and Chris’ company; just catching up with them and sharing our own experiences as we’re expecting as well was just what our souls needed. The charm is all still there, and was a reminder that we need to get together more often. Truly, some of our favorite people. Congratulations to these two, about to be a trio — there are no people or families we’re more excited to see bring another one of their own into the world. 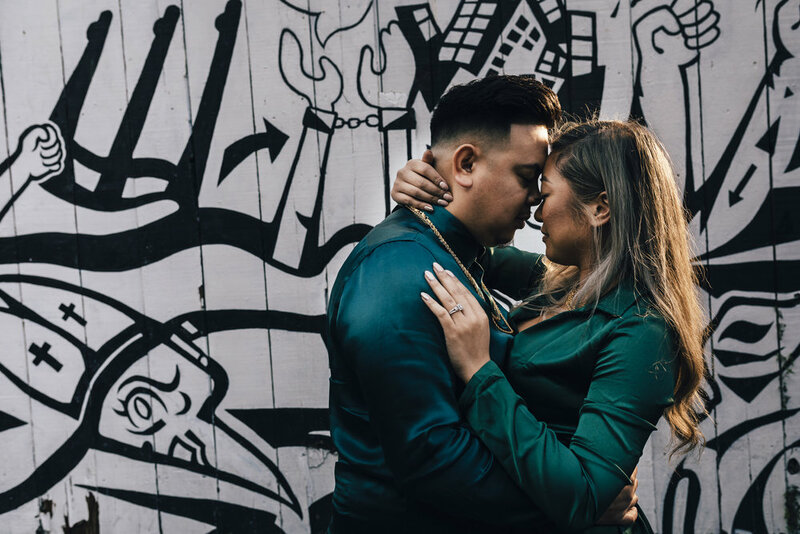 When we first met Jasmine and Chris about their wedding day, they made it abundantly clear that San Francisco was going to feature prominently in their day. Their venues of Mission Delores Basilica and The Social Hall were chosen specifically to speak to this vibe as an expression of the pride they have as native San Franciscans. 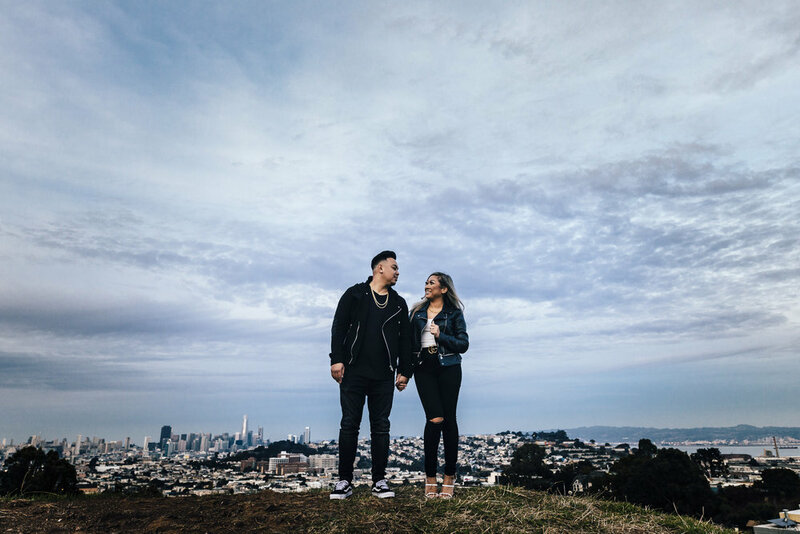 That same sensibility featured prominently when we discussed the plan for their engagement session, it only made sense that we’d explore Bernal Heights and The Mission District, where Jasmine and Chris grew up, respectively. 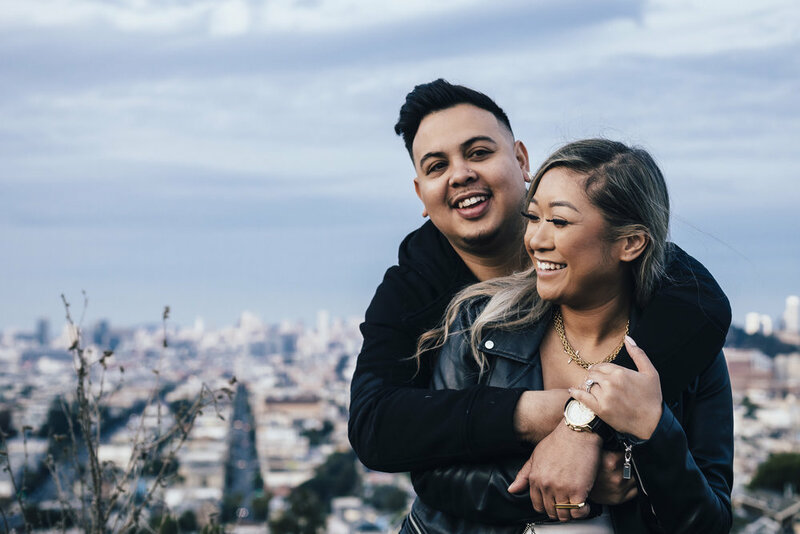 We were excited to visit both places for all the texture of Clarion Alley and the vistas from Bernal Heights Park that were made all the more special because both places symbolized important times in their lives. We were also glad that we got to meet and work with their son Carter, making this a special “hybrid” engagement/family session. 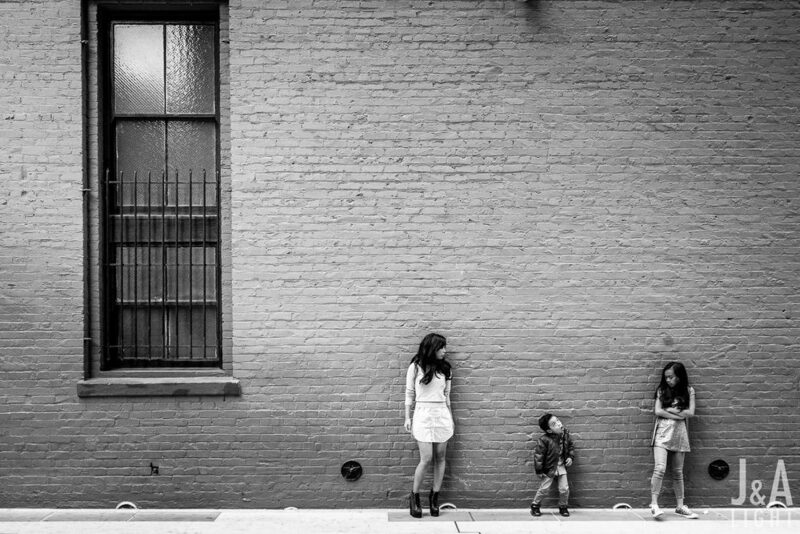 We loved the energy and attitude that the whole family brought to our time with them, from being able to look great together in a shot to being able let loose a bit just going down a sidewalk. We loved their style and appreciated their verve. The shoot was a ton of fun, starting at the apartments where Christ grew up, and then exploring nearby murals and street art. The Mission District didn’t disappoint and gave us awesome color and light to work with on the Fall Sunday we met with them. When we took a break from the family time to shoot just mom and dad, we loved how they could seamlessly turn it on for us — definitely a set of cool parents. We appreciated that everyone was so comfortable working with us, and the whole shoot just felt like hanging out with old friends. In that vein, as we made our way up to Bernal Heights park, we all felt like we needed a snack, and Chris was nice enough to introduce us to the life-changing Torres Truffle Potato Chips; we really can’t thank him enough! We closed our time with the Vivas taking in the the southern vistas of The City right around a beautiful sunset and getting a family silhouette at the top of the hill of the park. Those shocks struck us as a great conclusion to our time with them, embodying their brand of San Francisco radness. Much more from Jasmine, Chris, and Carter from the actual wedding day, stay tuned! 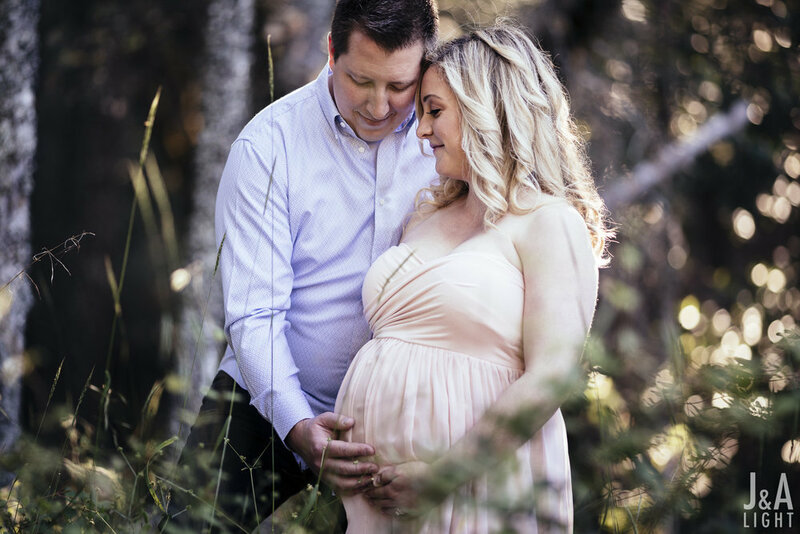 Michelle approached us with the idea to do a family session a little out of the norm. Meeting her you understand why. She is a fierce mother in every regard, from her kids, to her look, fierce is really the best way to describe her. Flat. Out. Cool. 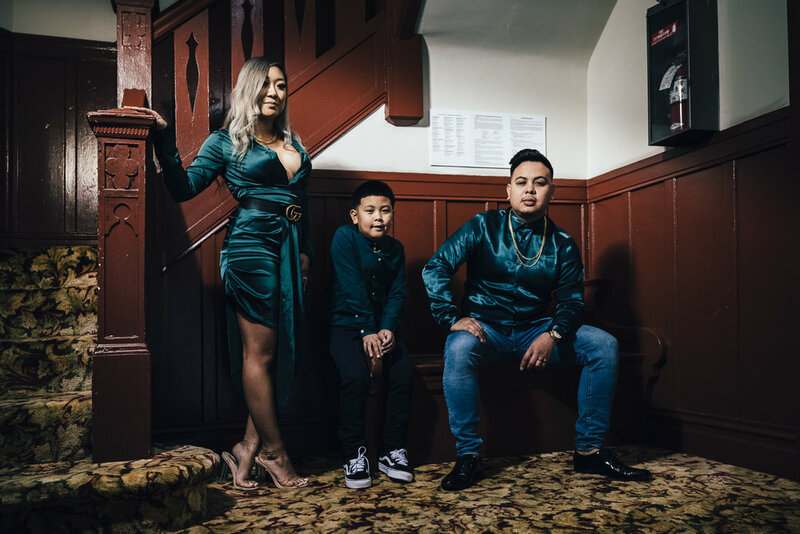 We make it a point to meet our clients to get a feel for them, and with Michelle, she had us do that over dirty gin martinis in a cool bar downtown, and getting to know her and her family, we would expect just that. Taking all this in about her, we thought trading the usual park for the monoliths of glass, brick, and metal in the South of Market (SoMa) neighborhood in San Francisco would fit. From the first time you meet Michelle, she crackles with moxy and an intense I-get-deals-done-in-YSL-and-pumps style. She has to be one of the cooler moms in line to pick her kids, Micaiah and Mason, from school, and mom's attitude and cool definitely rubs off. Micaiah is a budding programmer and an engaging conversation, with a truly heartwarming love for her brother. Michelle raised a great package of confidence and responsibility in Micaiah that manifested many times during our session as an inspiring sense of responsibility for her brother. She is the best of the curiosity and innocence of being a kid, but with an intelligence and heart that allows her to be so much more than a sister to Mason. You get the sense that the love of her family is from Michelle, but we also realize it takes something special to turn lessons from mom into the incredible sister that is Micaiah. Mason was [mostly ;-)] a perfect gentleman and it was great to see Michelle walk the fine line between reigning him in and allowing him to learn on his own and enjoy being a kid. No doubt he’ll follow in his sister’s precocious footsteps. 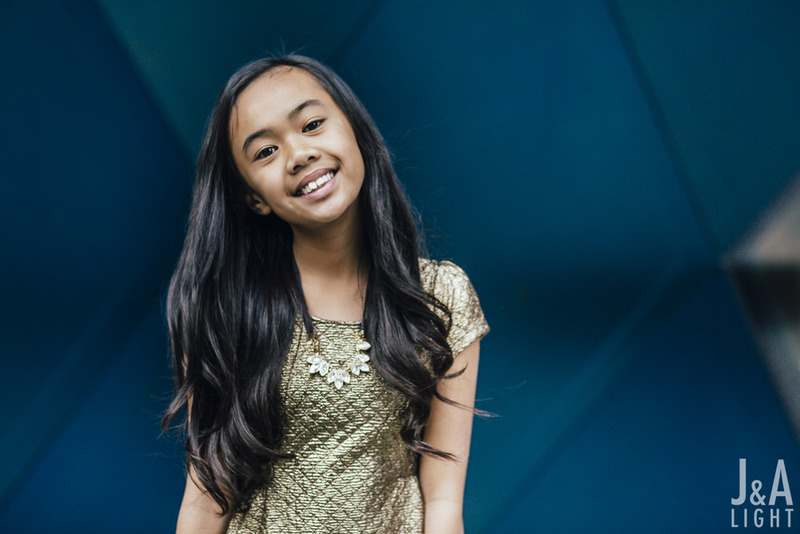 The shoot itself felt like a cool hangout with friends who happened to be great in front of the camera. Micaiah definitely gets her fearlessness in pictures from her mom, and even if he was a little nutty, Mason was simply too adorable to deny. We can’t thank Michelle, Micaiah and Mason enough for allowing us to catch them on a great day in this part of their lives together.